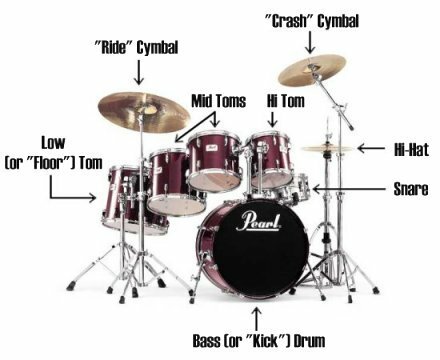 Drum set: This includes the bass drum, cymbals, tambourine, castanets, triangle, gong, and other percussion instruments like the wood block. These instruments are found in most rock, pop, and jazz bands. Timpani: These copper-colored drums are also called the kettle drums because they look like big kettles. Each drum plays a different note. Orchestras usually have from two to four timpani. Xylophone: Mallets strike wooden bars to produce different pitches.